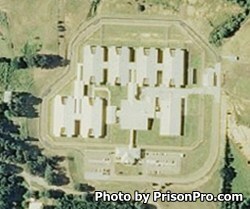 Walnut Grove Youth Correctional Facility is located in Walnut Grove Mississippi. It is a mixed custody facility that can house minimum and medium inmates. This facility is run by Management and Training Corporation (MTC) under a contract with the Mississippi Department of Correction. The current capacity of the prison is approximately 960 offenders. Offenders at Walnut Grove Youth Correctional Facility can earn a GED and obtain an adult basic education while incarcerated. Inmates can also take vocational courses including carpentry, barbering, masonry, horticulture, and culinary arts. Offenders can also receive alcohol and drug treatment, anger management counseling, and Regimented Inmate Discipline (RID). We do not currently have the visiting hours for this correctional institution, please contact the facility for more information. If you know the visiting hours, please leave a comment below.